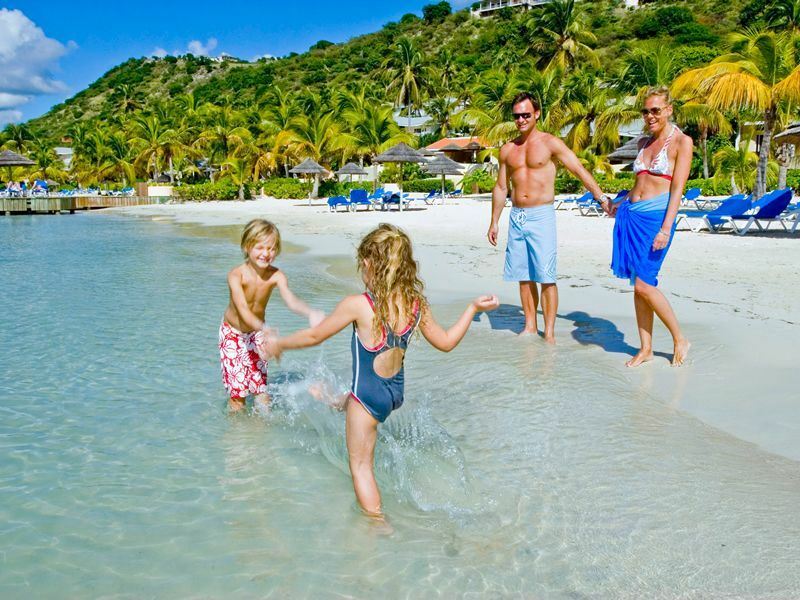 Sun, sea and family time on an all-inclusive holiday in the Caribbean is sure to create some long lasting memories. 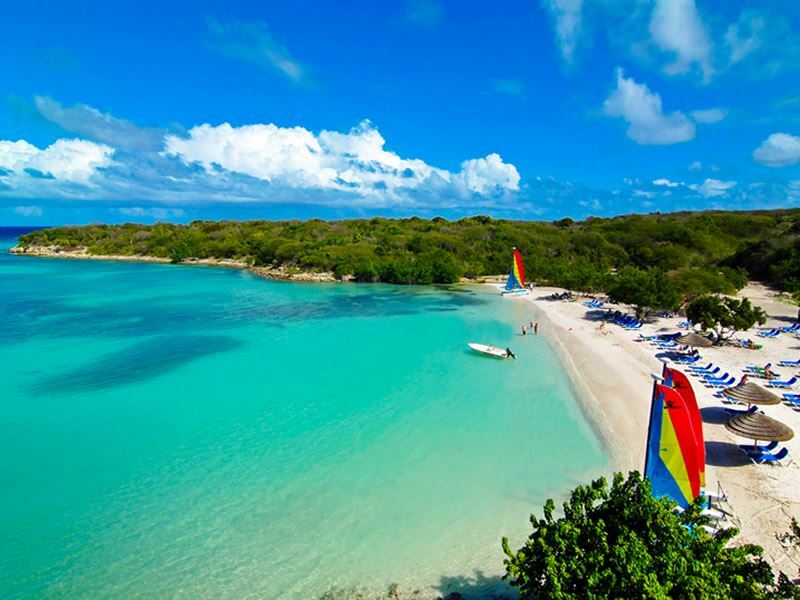 Antigua is a great choice for those wanting to relax but also has plenty of adventures on the island to keep the whole family entertained. Plus whatever your budget there is an abundance of beach side accommodation to suit your needs. The Verandah Resort & Spa is a family-friendly resort near Devil’s Bridge National Park. Four pools, one for children, one for families and two beaches mean you will be spoilt for choice when it comes to having fun in the sun. The Kidz Club for 4–12 year olds has an adventure playground, splash pool and a schedule of exciting daily activities ranging from art classes to nature trails. There is also a dedicated children’s menu so you can enjoy a meal or two before collecting your little ones. For teens there are movie nights, discos and karaoke, there is also a crazy golf course for a fun alternative family activity. An abundance of watersports, kayaking, windsurfing and sailing to name just a few, along with tennis courts, a spa, four restaurants and three bars mean there is something for the whole family to enjoy. St James’s Club & Villas is set on its own private peninsula to the south of the island. Swim in the calm waters of Mamora Bay or catch those trade winds at Coco Beach, watch pelicans diving for fish and snorkel over beautiful reefs. Rooms, suites and villas are spread out across the resort with garden or ocean views. The Kidz Club has daily activities on offer including crab races and treasure hunts for 4–11 year as well as a children’s lunch and dinner menu, there is also a games room for older children. For some family fun try paddle boarding, kayaking and sailing at Mamora Bay. St James’s Club has six pools a spa, tennis courts and a fitness centre. 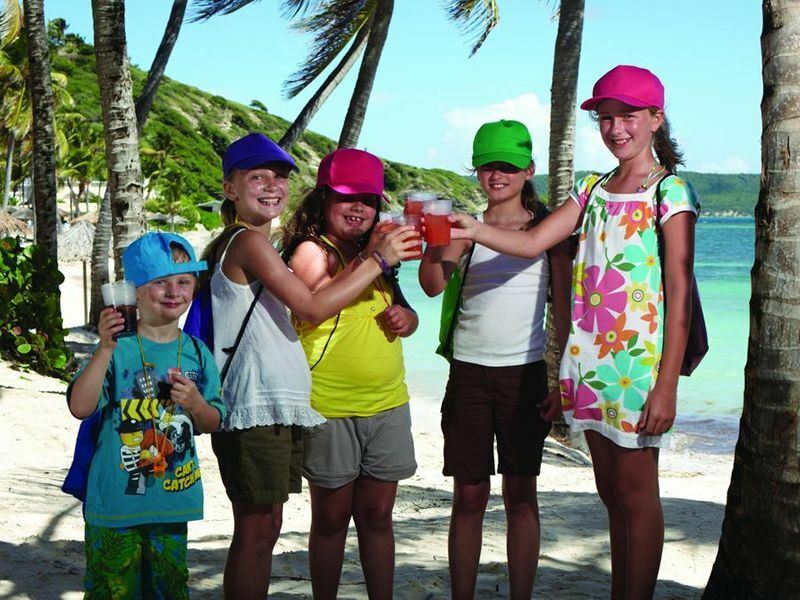 For food the kids will love Coco Beach Restaurant and adults will love The Docksider Grill overlooking Mamora Bay, enjoy a cocktail and meal with a spectacular sunset over the bay. Sitting on a mile long stretch of golden sand Jolly Beach Resort & Spa is in a stunning location, stay in a beachfront cottage and step straight out onto the sand. A fantasy pool with waterfall for the kids and a swim up bar for adults mean everyone is kept entertained. For active families have a go at kayaking and sailing lessons, visit the Antiguan Art and Craft Corner for seashell art, or have a game of tennis or basketball. The Kidz Club for 3–12 year olds and Teenz Club for 13–16 year olds have plenty of daily activities to keep everyone busy. While the Palms Wellness Centre is the ideal place for parents to get pampered. 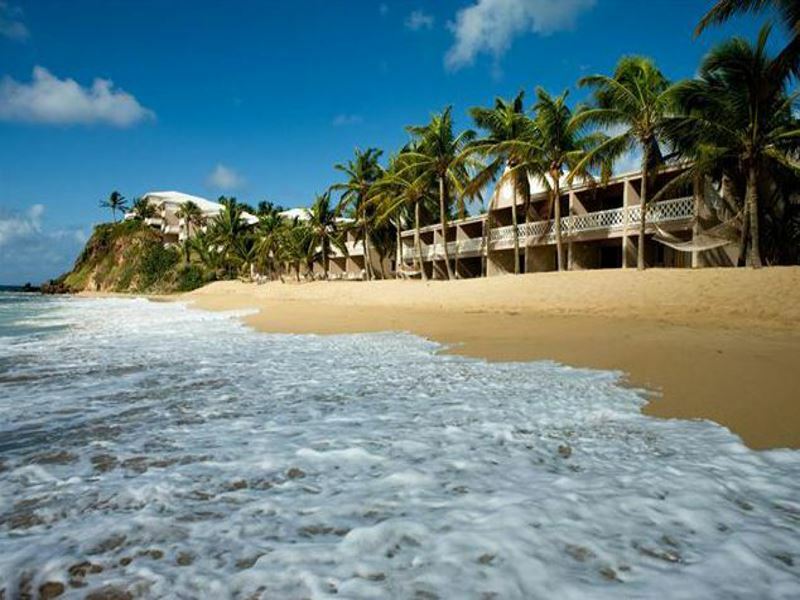 The chic Curtain Bluff is a 35 minute drive from the airport, surrounded by two beaches and a gorgeous pool you will be spoilt for choice on where to spend your family down time. Pick Surf Beach to relax and read a book in a hammock or have some fun snorkelling and exploring the marine life at Bay Beach. There are a whole host of watersports included in the all-inclusive rate from Hobie Cat sailing to water skiing as well as land based activities such as yoga and Pilates. All of the sumptuous rooms have ocean views and the spa has four treatment rooms with open views of the water. For something a bit different take a tour of the wine cellar and participate in a Friday afternoon wine tasting session while the youngsters are at Ceebee Kids Club. Available five days a week activities include chocolate making, designing wind chimes and crab racing. A games room full of board games and computer games is bound to keep everyone happy for a few hours and a baby-sitting service is also available. Antigua is an island full of adventures for all the family, highlights include Stingray City, start the day with a speed boat ride out to a pontoon where you will get to jump in the water and meet stingrays face to face. Watch them as they gracefully swim by and have a photo with these gentle giants, all with the guidance of friendly and knowledgeable staff in sparkling, shallow water. 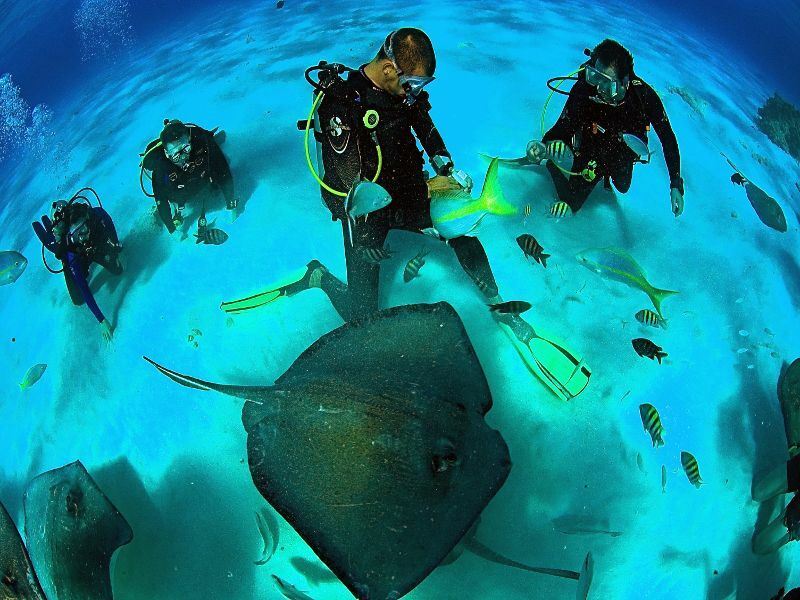 Swim and snorkel with the rays and learn about them in their natural environment. For daredevils the Rainforest Zip Line Tour is a must, the minimum age for this is 4. Zoom through jungle canopies on 16 different zip lines, take in the magnificent jungle views on three aerial walk ways and if you are feeling really brave take the ‘leap of faith’ vertical descent. There are four different tours to choose from, one includes a combination trip with Stingray City. Wadadli Animal Nature Park is home to a variety of animals and is an exciting alternative to a day on the beach for little ones. See snapping turtles, monkeys, donkeys and many more different species on a guided tour of the park. Go on an eco snorkelling tour for a fun an informative day out on the water. Snorkel over beautiful reefs, stop at the famous Hell’s Gate and bath in the natural Jacuzzi, spot turtles and rays and relax on the beach at Bird Island, all the while learning about Antigua’s reefs and eco systems. A 4x4 island safari in an open sided jeep is a thrilling way to see Antigua, off road along jungle tracks, see historical sites and take in beautiful views, perfect for photo opportunities. 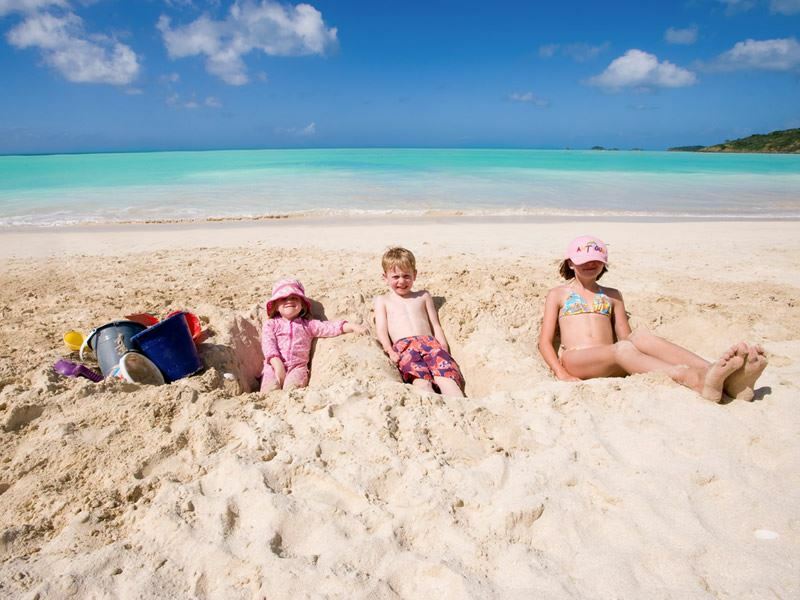 A family destination like no other, Antigua has it all; 365 tropical beaches, all-inclusive resorts catering for families on a variety of budgets and exciting island adventures to please everyone. From swimming in the sparkling waters of the Caribbean ocean to exploring the island’s rainforest this is a family holiday you won’t forget!